Berkeley is home to University of California, Berkeley, the Gourmet Ghetto and Tilden Regional Park. Through the decades, the city has been a political hub, a foodie haven and a center for culture in the Bay Area. Its eclectic mix of college town locales, upscale restaurants, artsy experiences and outdoor adventure makes it a must-visit whether you’re visiting from next door in Oakland or you’ve flown in from across the country. Locals and tourists alike can find something on our 24-hour guide to the city. 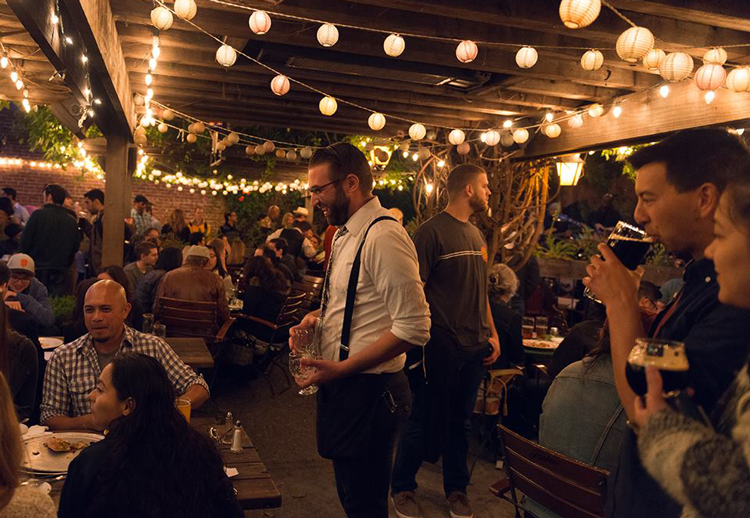 So grab your walking shoes, your beer-drinking buddies and your hungry bellies because we’re touring Berkeley’s best spots for food, fun and culture! If you’re sticking around for another day, be sure to check out our guide to Oakland! First things first, we’re heading to breakfast at one of Berkeley’s best morning spots. You won’t get an actual ocean view at this family-owned spot, but you will get one of the best brunches in the Bay Area! In true diner style, you’ll find burgundy booths, a Formica countertop, and even a piece of pie in the sky. Order a plate of their famous pancakes — you won’t regret it. If you live in East Bay and you haven’t been to Meal Ticket, you need to go. And if you’re visiting for the weekend, it’s a must! This mom and pop neighborhood spot has been slinging dessert pies and mouth-watering breakfasts on the northwest side of Berkeley for 15 years. Stop by for the grilled fish of the day with eggs, home fries, toast and salsa, and you’ll be tempted to come back tomorrow! 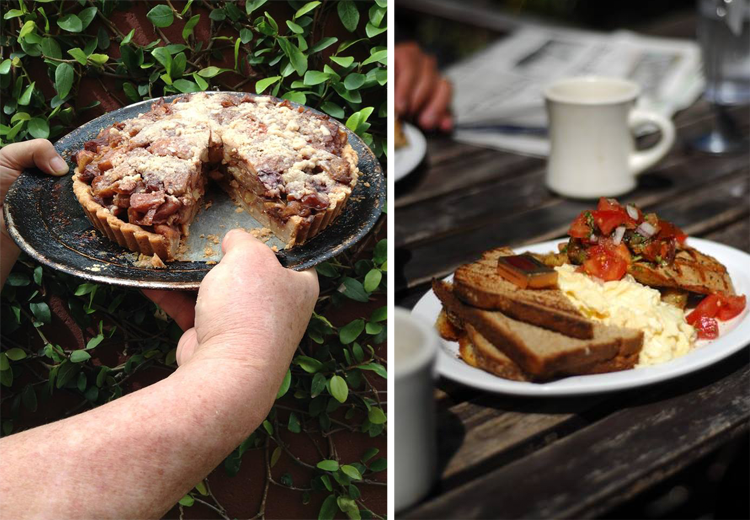 At Sunny Side, they serve breakfast and lunch all day, every day featuring organic coffee, organic greens, farm fresh eggs, and certified humanely raised natural meats and fish. Since opening in 2003, the team has been awarded multiple awards from Best of the East Bay so it’s worth a stop. Order a famed Eggs Benedict and you can thank us later. Brunch at FIVE is an upscale treat you’ll be savoring long after you finish your meal. Their sophisticated American-style Cuisine is influenced by European techniques and refined with the best ingredients California has to offer. Sip a bottomless mimosa while you wait for your Avocado Toast, Chocolate Chip Pancakes and/or Taranis Fried Chicken Benedict. Next up on the agenda is a trip to a Berkeley farmers’ market where the city’s flair for local food and sustainable ingredients is showcased. On Saturdays, the Downtown Berkeley Ecology Center Farmers’ Market runs from 10 a.m. – 3 p.m. The Ecology Center also hosts an evening market on Tuesdays from 2 – 6:30 p.m. or stop by the market in North Berkeley on Thursday evening! 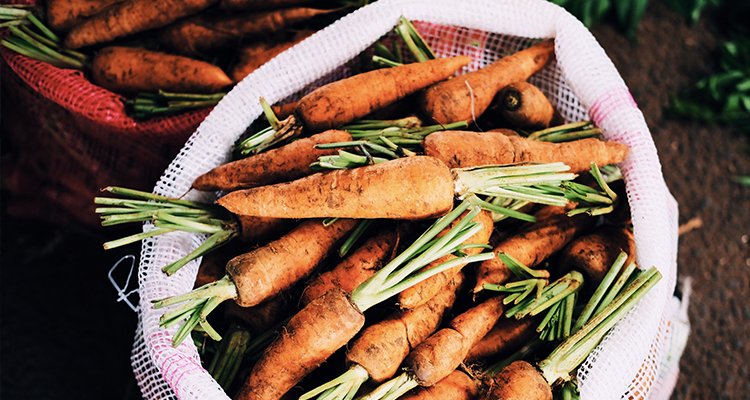 If you’re looking for markets on a different day, check out our East Bay Farmers’ Market Guide for full details. If you were in Berkeley and you didn’t eat in Gourmet Ghetto, did you even go to Berkeley? It’s time for lunch so we’re heading to the foodie capital of town — a neighborhood of North Berkeley with arts and foodie destinations packed in along Shattuck Avenue. The unofficial mascot of Gourmet Ghetto is Chez Panisse. Founded by Alice Waters in 1971, the bistro kicked off the neighborhood’s now famous passion for local, sustainable and innovative foods. Above the downstairs dinner bistro which is reservation only, you’ll find a quaint café serving up a moderately priced à la carte menu for lunch and dinner. Stop by to get a taste of history. This collective is another of Gourmet Ghetto’s famed eateries. The original cheese store opened in 1967 and was sold to the employees in 1971. The cheese store and bakery on Shattuck Avenue now features an espresso bar, 400 different cheeses, and an extensive selection of freshly baked breads and pastries. But our lunch destination is a few doors down at the collective’s pizzeria. Here, you’ll find fresh, plant-based pies topped with organic and local ingredients whenever possible. Located inside Epicurious Garden — Gourmet Ghetto’s stylish food court — you’ll find this authentic Mexican taqueria serving up flavorful classics including tacos, street corn, tortas and more. Named after owner Willy Perez’ green 1961 convertible Chevy Impala, this spot will have you drooling before you even get your food. César is open daily from noon to midnight in Gourmet Ghetto. When it opened in 1998, it was the first restaurant in the Bay Area to offer the great tapas traditions of Spain. Now, they’re still pairing the authentic spices and flavors of Spain with local and seasonal produce, meat and fish. 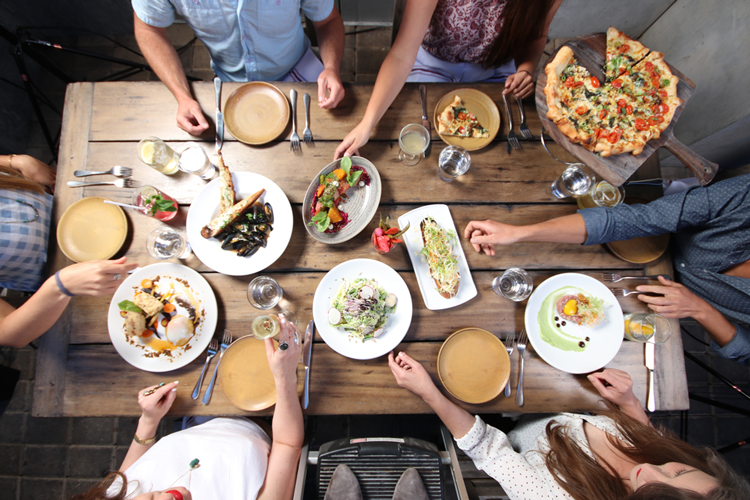 Share a few plates and sip a glass of wine before you head to your next stop! Now, it’s time to spend the afternoon celebrating culture and theater with a matinee showing at Berkeley Repertory Theater. Located in Downtown Berkeley, this center for live performance and entertainment has become a hotspot for exhilarating new plays — nine of which have ended up on Broadway. Since 1968, they’ve been premiering breakout comedies, dramas, musicals and more, so get ready for a fantastic show! If you’d rather spend time out and about in Berkeley, venture on your own brewery tour! Hoi Polloi Brewing, Jupiter and Pacific Standard by Half Moon Bay Brewing are all on our list of craft breweries within a 20-minute walk from BART. Or, you can make the trip to one of these other Berkeley locales. Fieldwork Brewing Company was founded right here in Berkeley and now has additional taprooms in Napa and Sacramento with more coming in Monterey and San Mateo. With a focus on exceptional, honest beer-making, they have a few select brews — including one of our favorites, the Churro Cream Ale! You’ll also find a menu of snacks, tamales and grilled cheese sandwiches if your stomach starts to rumble. Triple Rock Brewing is one of America’s original brewpubs — the fifth in the country, to be specific. For the past 30 years, the team has been pouring fresh beers inspired by a love for brewing, and now you can pair your pint with a plate of upscale pub food, too. At The Rare Barrel, you’ll only find sour beers, but you definitely won’t regret it. Inspired by the tastes of red raspberries, fresh-squeezed lemonade and fine wine, The Rare Barrel’s sour beers age in oak barrels for an average of one year and come out as some of the best in the Bay. The team at Gilman describes their brewery as a comfortable room with normal people and some good beer. Everything is simple here, everyone is friendly, and all the beer is delicious. And nothing pairs better with a craft beer than a scenic view of the giant beer tanks that brewed it! For dinner, head to Downtown Berkeley — a hotspot for food and entertainment! We have a bit of a love affair with this Arts District destination. If you can, grab a table on the secluded rear patio with a full bar, covered dining area and an al fresco beer garden complete with a fire pit. But even if you’re sitting inside the industrial-style space, you’ll enjoy plates inspired by Oaxaca, Mexico and the neighboring coastal regions. Coincidentally, they pair perfectly with the list of all-Mexican cocktails. Venus boasts fresh, succulent Northern California cuisine. Using as much local produce, meat and fish as possible, the restaurant offers strictly seasonal fare with a constantly revolving menu, a lively wine list featuring organic and biodynamic wineries, and excellent small producer coffees. The menu at Gather changes daily based on what the local farmers, ranchers and artisan food producers have inspired, but you’ll always find a braised meat, whole-roasted fish, brick-oven pizza or composed vegetable dish you can love. Make a reservation so you have plenty of time for craft cocktails and dessert! Executive Chef and Owner Wendy Brucker grew up in the East Bay but spent much of her childhood in Italy. After working in the Bay Area, garnering awards and opening another successful restaurant, Corso was born. Here, you’ll find Tuscan classics, house-cured salumi, house-made pastas and nightly butcher’s specials alongside an amazing wine menu and craft cocktail list. Toast the night with a pint of beer, a fresh donut, or both! If you went to the matinee and didn’t have time to stop by Jupiter during the craft beer tour, now’s your chance! As the East Bay’s most popular brew house, it’s a must. Stop by for a handcrafted brew, wood-fired pizza and a great time in the stunning beer garden! King Pin is the locally famous spot for late-night sweets. You’ll probably want to come back in the morning and we don’t blame you. Open until 3 a.m., you can watch fresh donuts being made and flipped with chopsticks until midnight on weekends. Say hello to the owner, Lai, and grab a Coconut Cake and an Apple Fritter; you won’t regret it! Berkeley is a star of the East Bay when it comes to food, drinks and fun. Let us know how you spend your time in the city!